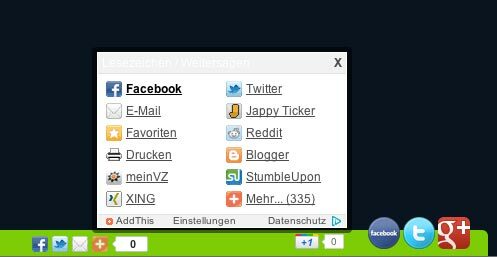 It is very easy to share information you see at this webpage: On the bottom of each page you find a button " + ". Moving your cursor over this button will pop up a window showing you the main options. Clicking at one of these icons will push you to the choosen service or print/email the page. If you are missing your favorite service click on "More" (even shown in your own language) in the buttom right of the pop-up, you will find many more services. We are using the great Add This webservice to offer you this features. This is quite useful if you want to add a result-link to your club homepage, your personal blog or your facebook account.